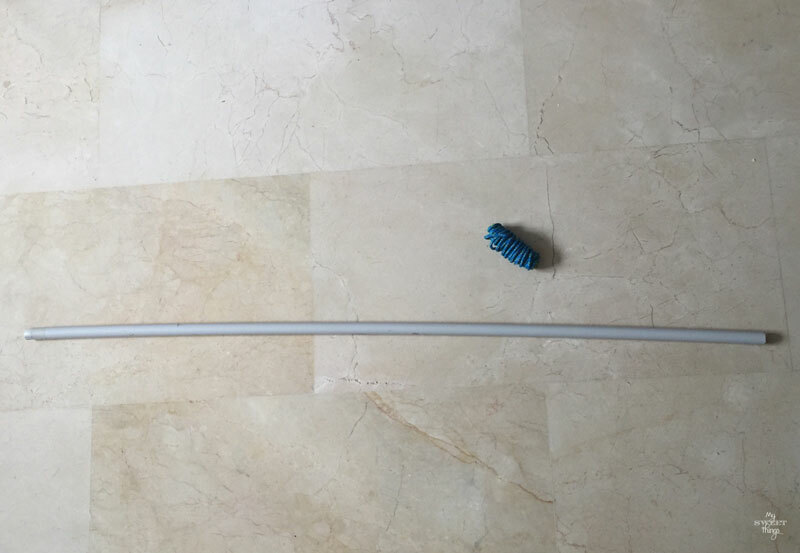 I told you in my previous post I am decluttering my house, and today I found a plastic tube I have no idea where and when it came from. It is not too big and weightless, so perfect for what I was going to do with it. This is my tube!! No need for a full tutorial, even a kid can do it. The rope was quite long and I decided to fold it instead of cutting it so I can reuse it anytime, and then inserted it into the tube. I placed some different twine and tied the rope to the metallic drawers. You may want to see how I keep my washi tape or maybe some other projects. 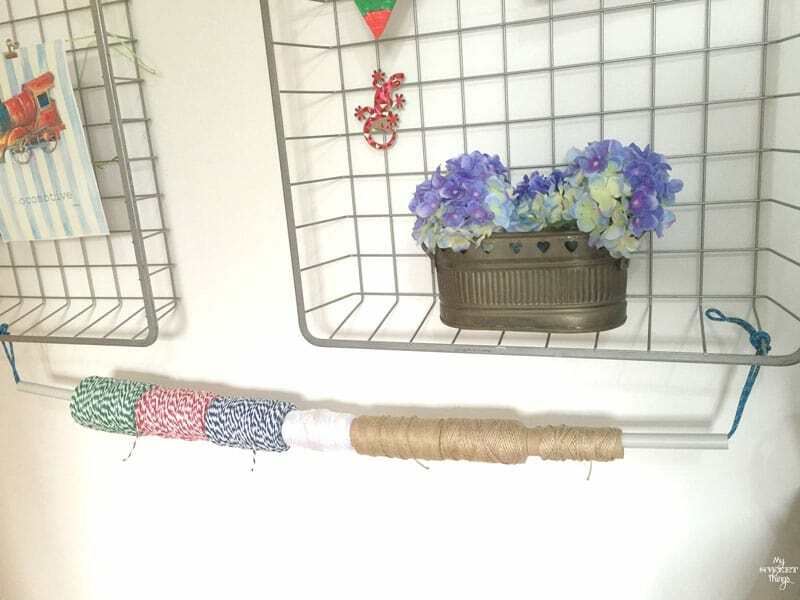 This entry was posted in Before & After, DIY and tagged Craft room, DIY, Organization, Twine. Yay! I love practical and pretty solutions to clutter! Great idea Pili! 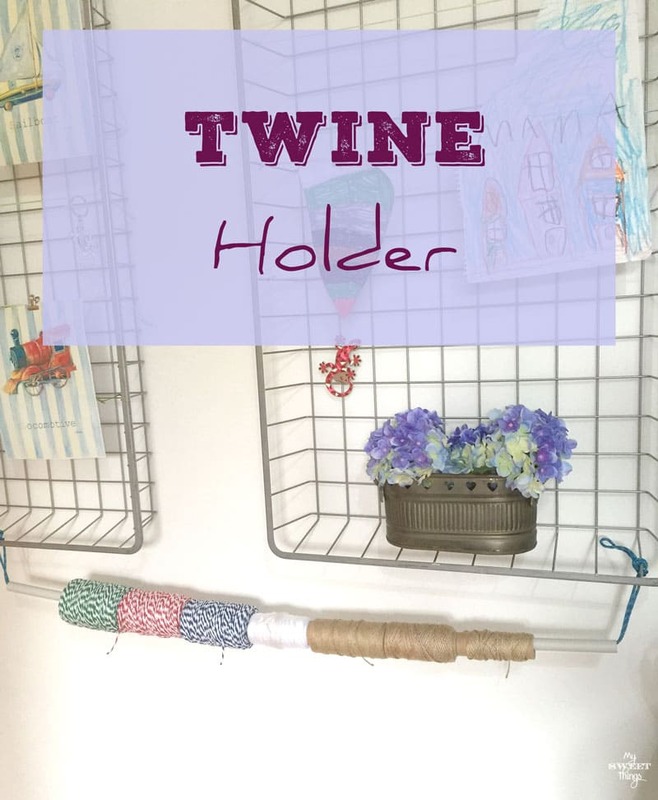 Pili, this is a great idea to keep twine, thread and other types of string organized!! Awesome job!! Clever idea Pili! I love organized and functional craft supplies, and especially twine and strings can get so messy! So with this no more mess! Absolutely!! And I like too that it takes less space than it used to! Hi Laurie! I have ribbons in another place, but this works great for our threads. Now if we need some we don’t have to worry about not finding it. That’s the point, upcycling what I have around here instead of throwing it away. Glad you like it too!! Great idea to put something simple to such a practical use! Thanks for partying with us, Pili! Thank you so much Beverly! I’m glad I found a use for it and we all can benefit of it. No tangles, Joy. That is another good thing about it. Thanks for sharing! brilliant and so easy to do! Love how you used something you found to make something you needed! Love the baskets and having the twine or ribbon cleaned up but still accessible is a bonus! That stuff was lying around here for so long and suddenly I had a light bulb moment, don’t you like when that happens?? Now that is what I like! Resourceful! Easy! Way to go! Pili, Popping over from Brag About It to thank you for linking up your wonderful projects with us! I hope you have a fantastic week! Many thanks, Laurie!! Have a nice week too! I love this idea for organizing string and twine. Thanks for joining and sharing at Cooking and Crafting with J & J. We hope to see you again. Great idea! I love how you can find a use for anything and nothing goes to waste. You are a true recycler and a friend to the environment. Another cool way to use your supplies as part of the decor, and they are so handy now too! Perfect! Look at you being so resourceful! 🙂 My twine is all over the place, so I may just have to find a random tube so I can make one of these too! Thanks for sharing this with everyone at #TalentedTuesday. Pili, you are so clever and resourceful! I love seeing what you come up with. Thanks for sharing at Your Inspired Design! Aww, you are so kind Holly. Thank you so much for stopping by and your kind words. Enjoy the rest of the week!